Last year I read Knausgaard’s A Man in Love, the second volume in his six-book series, My Struggle, a set of novels that delve into various aspects of his own personal life. I had to jump straight in with book two as it made the IFFP longlist, a list I’d agreed to read for Stu’s Shadow project. Much to my surprise, I found A Man in Love very compelling, and while it didn’t seem to matter that I hadn’t started with book one, I’ve been meaning to plug the gap ever since. A Death in the Family is that first volume in the series, but it turned out to be a very different book to the one I’d expected. The title A Death in the Family refers to the painful demise of Karl Ove’s father, a man who died before his time in horrific circumstances. At the time of writing this first volume, Karl Ove is forty and living in Sweden with his second wife, Linda, and their three children. He is struggling to balance the demands of family life alongside his burning desire to write something exceptional. For several years he has tried (albeit unsuccessfully) to write a novel about his father. Finally he finds a form that will suit, enabling him to tell it as it is: A Death in the Family is the result. The book is divided into two very different parts. The first section begins with a short meditation on death: how as a society we tend to draw a veil over the whole subject; how dead bodies are hidden away and stored as close to the ground as possible. It’s as if there is ‘something deep within us that urges us to move death down to the earth whence we came.’ It’s a stark and powerful opening, one that drew me into the opening pages of the book, and I was all set for Karl Ove to disclose the story of his own father’s departure. Suppers with mother are relaxed and happy affairs, the children helping to lay the table and chatting away about anything and everything. Karl Ove’s mother is interested in what the boys have to say and doesn’t mind if they make a bit of a mess at the table. By contrast, the boys seem fearful of their father, lowering their voices and sitting up ‘as stiff as pokers’ when he enters the kitchen. I would have liked to hear more about Karl Ove’s mother, but she is largely absent from the story either working or away from the family home for whatever reason. 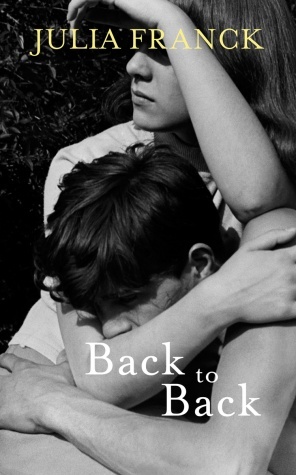 These early fragments aside, I have to admit to disengaging from large chunks of the first part of this book, particularly the passages covering Karl Ove’s teenage years. During this time, Karl Ove and Yngve’s parent split up. We follow Karl Ove as he develops a love of indie music and proceeds to drift about like a typical teenager, all captured in the minutest of detail. There’s an extremely lengthy passage depicting Karl Ove’s movements and those of his friends one New Year’s Eve: their attempts to procure alcohol and to conceal it from their parents; their efforts to find a party as they mill around from one location to another. My recall of this passage is more than a little fuzzy as my mind was wandering at this point. If truth be told, I find the teenage Knausgaard far less interesting than his adult counterpart. I was waiting for the grip of the narrative to kick in, and it came once I started part two. The second section focuses on the death of Karl Ove’s father, or more precisely, the aftermath and fallout from this event. At some point following the breakdown of his marriage, Karl Ove’s father moves back to the old family home to live with the boys’ grandmother. He turns to the bottle becoming highly dependent on alcohol to get by, and when Karl Ove hears of his father’s death, there’s a sense that it is not entirely unexpected. Yngve stood in the hall surveying the scene. The blue wall-to-wall carpet was covered with dark stains and marks. The open built-in wardrobe was full of lose bottles and bags of them. Clothes had been tossed all over the place. More bottles, clothes hangers, shoes, unopened letters, advertising brochures and plastic bags were strewn across the floor. But the worst was the stench. What the hell could reek like that? This second section of the novel is astonishing. It takes the brothers several days to systematically clear and clean each room in the house; the amount of filth and detritus they have to wade through is unlike anything I might have imagined. The writing is raw and candid, giving the narrative an unfiltered feel – nothing is spared. I found the scenes involving Karl Ove’s grandmother especially distressing: a woman quite possibly experiencing the early symptoms of dementia, wasting away to nothing and retreating into herself. She’s been living through it all, and it’s heart-breaking to read. 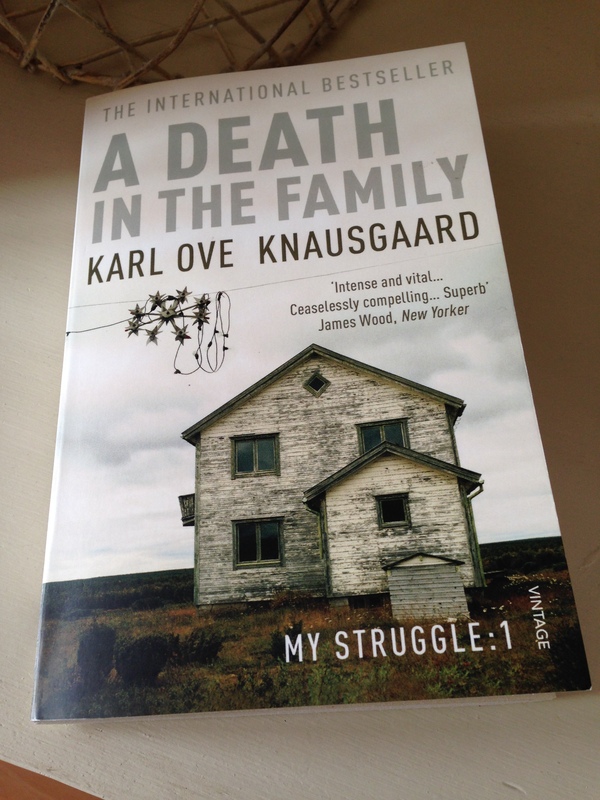 There is a sense that Knausgaard has written this book as a way of exorcising the ghost of his father. As the house clearance and funeral preparations continue, there are times when he is overcome with emotion, and the tears flow freely. We are left with the picture of a man trying to come to terms with a number of things, not only the death of his father but the misery and pain that has accumulated over many years. Several other bloggers have reviewed this book – they include Stu, Tony Malone and Tony Messenger. Helen has written about the series. A Death in the Family (tr. by Don Bartlett) is published in the UK by Vintage Books. Source: personal copy. Book 6/20 in my #TBR20. This entry was posted in Book Reviews, Knausgaard Karl Ove and tagged #TBR20, #TranslationThurs, Book Review, Don Bartlett, Fiction, IFFP, Karl Ove Knausgaard, Literature in Translation, Norway, Vintage Books on February 25, 2015 by JacquiWine. One day, the couple (Miguel and Luisa) are absent from the café; at first María assumes they have gone away on holiday and, deprived her morning fillip,she feels a little bereft at their absence. Later, she learns from a colleague that Miguel has been stabbed repeatedly and murdered by a homeless man in what appears to be a tragic case of mistaken identity. In fact, María had already seen the newspaper report of the murder (coupled with a photograph of a man lying in a pool of blood) without realizing that the victim was the husband from her Perfect Couple. This review was originally published as a guest post on Winstonsdad’s blog (23rd April 2014) and Stu has kindly granted his permission for me to republish it here. With Stu and Richard’s Spanish Lit Month fast approaching, I thought it a timely post in the run-up to July. The Infatuations (tr. Margaret Jull Costa) is published in the UK by Penguin Books. Page numbers refer to the paperback edition. Source: personal copy. This entry was posted in Book Reviews, Marías Javier and tagged #SpanishLitMonth, #TranslationThurs, Fiction, IFFP, Javier Marías, Literature in Translation, Margaret Jull Costa, Penguin Books, Spain on June 26, 2014 by JacquiWine. 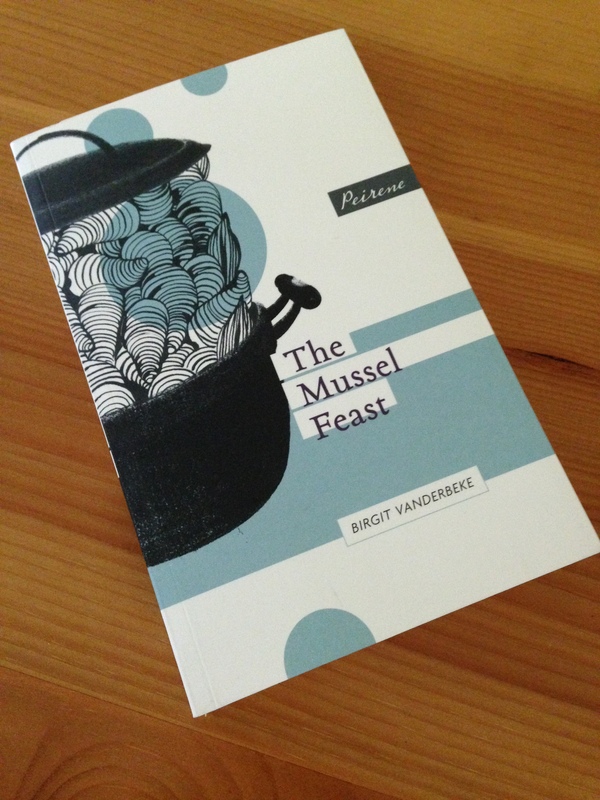 As you may have gathered by now, I’ve been reading the books longlisted for this year’s Independent Foreign Fiction Prize, and one of the shortlisted titles is Birgit Vanderbeke’s The Mussel Feast, translated by Jamie Bulloch. Although The Mussel Feast missed out on the prize itself, I was delighted to learn that the judges honoured this book with a special mention. The Mussel Feast is a modern German classic, first published in Germany in 1990, but only recently translated into English and brought to us by Peirene Press. It’s a great little novella, one which packs much nuance and depth into its 100 pages. In the opening scenes, a mother and her two teenage children, a girl and a boy, are waiting for the imminent arrival of their father. Mother has spent hours scrubbing four kilos of mussels in ice-cold water and preparations are underway for a feast of mussels as they are her husband’s favourite meal. She doesn’t care for mussels herself, but her husband has been away on a business trip, one which was destined to be the final step on his path to a big promotion. The novella is narrated by the daughter and it soon becomes clear that all is not well within this family. While they wait for father to return, the three members of the family start to talk, expressing thoughts they’ve never dared to mention before. As time passes, they grow restless, rebellious even, so they open a bottle of one of father’s favourite wines. It’s a riesling, a Spätlese meaning ‘late harvest’. As the wine flows, mother and her children start to let their hair down and the story of their life unravels. I won’t reveal any more of the narrative, but if you’re interested, you can read my review of The Mussel Feast here. The Mussel Feast got me thinking about riesling. It’s one of my favourite grape varieties, and I love its chameleon-like nature. Some rieslings are dry, others intensely sweet, and it can successfully straddle the middle ground between these two ends of the spectrum, too. The grapes that go into this von Kesselstatt riesling hail from an estate-owned vineyard in the Ruwer where the soil is hard and slatey and this gives the wine a slightly mineral note. On the nose, this wine smells quite floral – elderflower with some zest of lime, too. This riesling is medium dry (or off-dry), with a good balance between the acidity and sweetness. In terms of taste, the wine offers a succession of different sensations; an initial wave of acidity followed by some sweetness, and then more acidity to give a long, mouth-watering finish. It’s a bright and refreshingly light wine, but there’s plenty of passion fruit and citrus flavour here. It’s a very pleasant wine to drink now, but I think it’ll be even better in another two or three years from now, once it’s had sufficient time to develop a little more flesh and richness. ‘I’d like a few more curves’ say my notes. Earlier this year, I tasted the 2009 vintage of this von Kesselstatt riesling and it was a richer, more rounded wine. Given time, I’m sure the 2012 will head the same way. 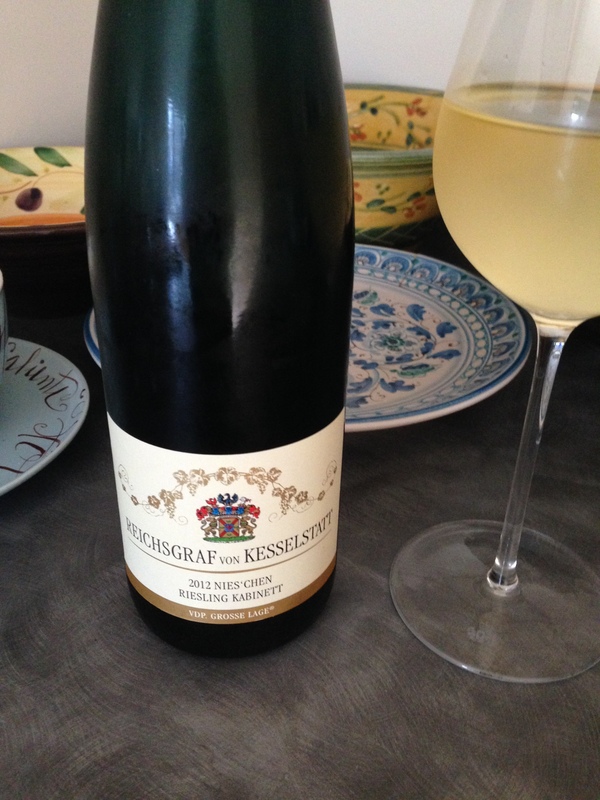 Would this von Kesselstatt Kabinett be a fitting match for The Mussel Feast? While it’s not a Spätlese (as featured in the book), it is made from riesling and this grape variety certainly works well with seafood. And if the mussel broth contained a decent kick of chilli, something to counterbalance the edge of sweetness in this wine, I don’t see why it wouldn’t be worth a shot. Wine stockist: I bought the Nies‘chen Riesling Kabinett 2012 from The Wine Society. The Mussel Feast is published in the UK by Peirene Press. Source: personal copy. This entry was posted in Book Reviews, Wine Notes and tagged #TranslationThurs, Birgit Vanderbeke, Book Review, Fiction, Food, Germany, IFFP, Jamie Bulloch, Literature in Translation, Peirene Press, Wine, Wine Notes, Women in Translation on June 1, 2014 by JacquiWine. Butterflies in November is a quirky and darkly humorous novel narrated by a unnamed woman in her early thirties. She has a talent for languages and earns a living as translator and proof-reader. The story opens in Reykjavik where our narrator is having quite an eventful day. Having being dumped by her lover she arrives home where her husband reveals he’s leaving her for another woman (a work colleague who happens to be pregnant with his baby). Auður, a close friend of our narrator, persuades her to visit a medium/fortune-teller who predicts a journey ahead and a future involving money and love. After being told to buy lottery tickets, our narrator soon discovers that she has a double win on her hands, netting her a prefabricated summer bungalow coupled with a life-changing amount of money totalling several million kroner. As a result of these events, she decides to restart her life by embarking on a road trip around Iceland with the intention of visiting the area she loved as a child, a location where her grandmother once lived. To complicate matters, though,Auður requires a huge favour of our protagonist. Just before the trip is due to commence, Auður, a single mother heavily pregnant with twins, twists her ankle. Complications with her pregnancy come to light and an extended stay in hospital is prescribed. She asks our narrator to look after Tumi, her four-year-old son who happens to be hearing-impaired, and seems keen for him to experience the trip. So, before she realises it, our narrator has agreed to look after Tumi and to take him with her on vacation…all this despite her apparent lack of both maternal instincts and previous experience of caring for a child. These events form the first third of the book. The road trip itself plays out over the remainder of the novel as the couple encounter a variety of animals, birds and an Estonian choir who seem to crop up repeatedly. These sections of the novel remind me a little of Jonas Jonasson’s The Hundred-Year-Old Man Who Climbed Out of the Window and Disappeared with its cast of idiosyncratic characters and slightly surreal journey and I wonder if Butterflies might appeal to fans of this one. He has stood up and I realise how tall he is, he is literally towering over the table. He hands me a parcel wrapped in gilded paper, after fishing it out of the inside pocket of his jacket. I finish the remains of two glasses before opening it, exhausting my annual ration of alcohol in a single day. I drag the little man with me onto the moor, moving swiftly in my leather boots, which sink into the soggy earth. After some initial effort to keep up with me he starts to drag his feet and falter, tripping over rocks, as I tow him over clusters of heather that scratch his calves, and stumbling against something every few metres, because the pile of stones that we are heading towards on this forsaken path always seems to remain at the same distance, at least another hundred years away. It’s a novel that draws on the senses; one in which scents, smells and fabrics play a role as reminder of specific people or events. Perfumes, after-shaves and items of clothing appear as signifiers and there are other recurring motifs, too. Darkly comic moments also feature, especially in the initial sections of the narrative, and these slightly surreal touches drew me into the opening scenes. The tone and mood shift somewhat as the trip unfolds and our narrator begins to develop a close and heartfelt bond with Tumi. We can see she’s undertaking and emotional journey as well as a physical one…and perhaps the butterfly (which makes a few fleeting appearances in the novel) is a metaphor for change and re-invention, signalling a transformation in her life as she learns to take more risks? 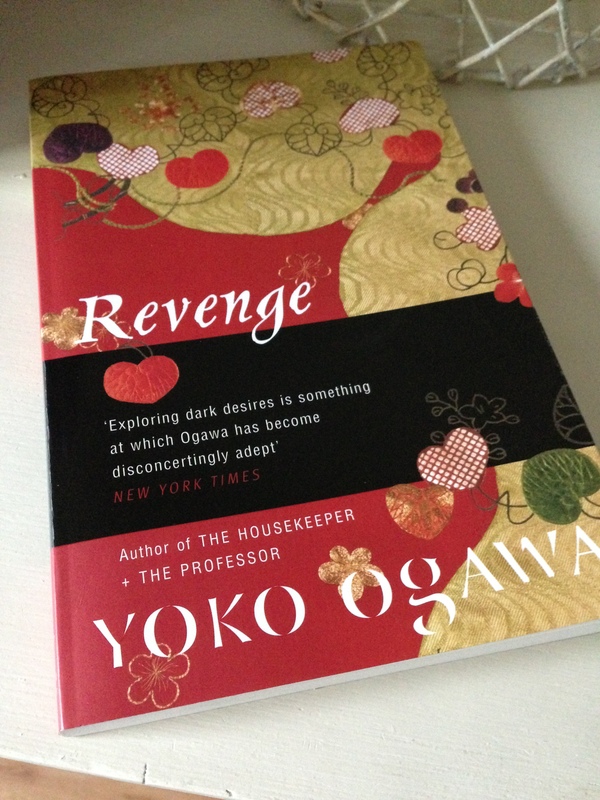 As Naomi (at The Writes of Women) mentions in her review, the novel ends with forty-seven rather unusual cooking recipes and one for knitting, although Ólafsdóttir accepts that some might be more suited to the page than the plate! And this addendum feels very much in tune with the off-beat, slightly surreal nature of the book. In summary, I found Butterflies in November to be a quirky and enjoyable novel, although I preferred the first third of the book to the subsequent sections involving the road trip where the narrative just lost some of its momentum for me. I read this book as part of an IFFP-shadowing project led by Stu at Winstondad’s blog. Other members of the IFFP shadow group have also reviewed Butterflies: Stu and Tony Malone – just click on the links to read their thoughts. This review was first published as a guest post on Naomi’s The Writes of Women blog (19th March 2014) and Naomi has kindly granted her permission for me to republish my review here. 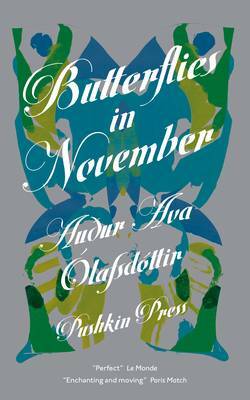 Butterflies in November is published in the UK by Pushkin Press. Source: personal copy. 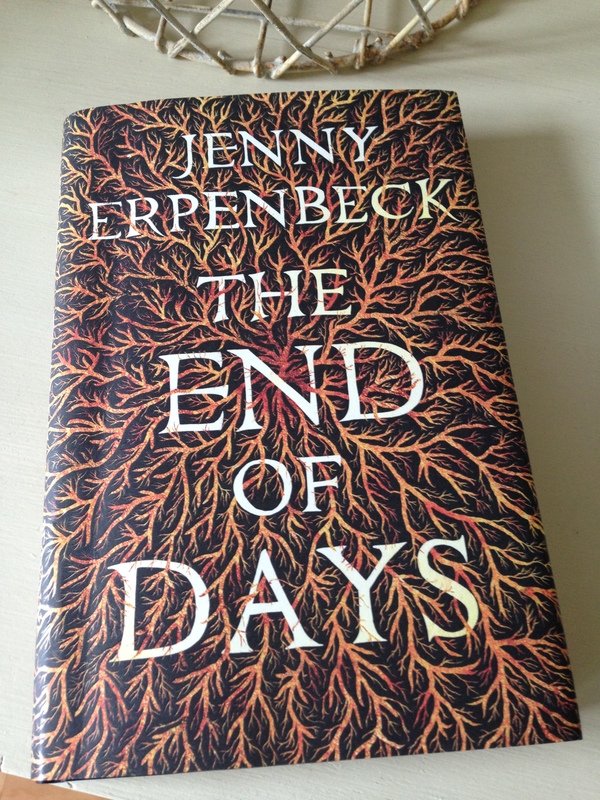 This entry was posted in Ólafsdóttir Auður Ava, Book Reviews, Women in Translation and tagged #ReadWomen, #ReadWomen2014, #TranslationThurs, Book Review, Fiction, Iceland, IFFP, Literature in Translation, Pushkin Press, Women in Translation on May 23, 2014 by JacquiWine.